Hi crafters! 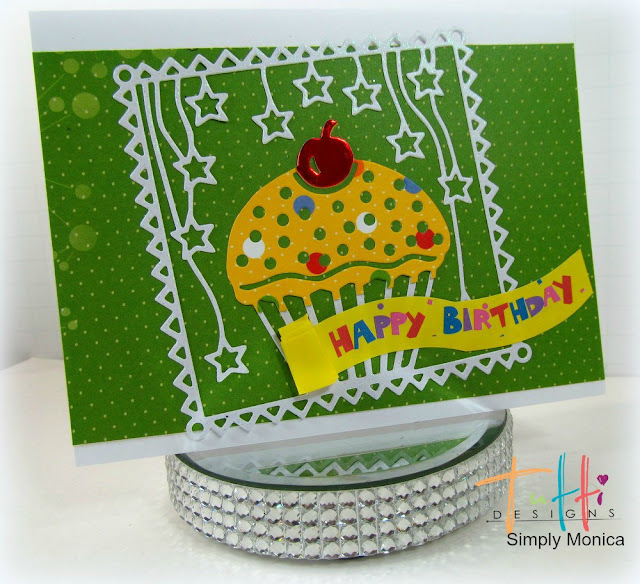 This month is full of birthday goodness for Tutti Designs as the team shares various dies perfect for that special occasion.. Today I am using Tutti-291 Cupcake. This dies measures 4x4 a perfect card front for a birthday card. I used some glitter paper for the outer edge of the die and brightened up the middle just like a cupcake and popped on a bright red cherry from red foil paper.